Delta, Partial discharge measurement, etc. 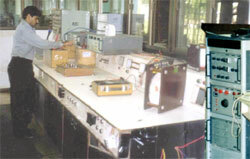 The products are type tested at CPRI. Bhopal & ERDA Vadodara as per relevant ISS/IEC. All the manufacturing units are equipped with requisite staff to render service after sales.